"Bohemian Rhapsody," Queen's rousing rock classic, has been voted the greatest hit of the last 50 years, according to a poll released Saturday. The band's 1975 operatic rock song beat out John Lennon's "Imagine," and "Hey Jude" by The Beatles, which took second and third places respectively. To qualify, a song had to have made it to number one. Simon and Garfunkel's "Bridge over Troubled Water," and George Harrison's "My Sweet Lord" took the next two slots, according to the poll conducted by The Official U.K. Charts Company, which received 190,000 Internet votes to compile the list. The top two spots replicate the results of a poll published by Guinness World Records earlier this year. 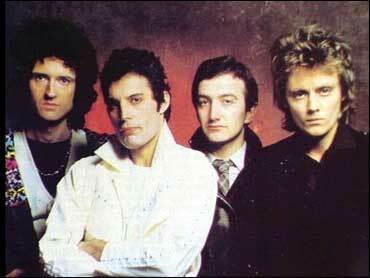 "Bohemian Rhapsody," a six-minute piece that first topped the music charts in 1975, made it to No. 1 again in 1991 when it was released a second time to raise funds for charity after the death of the band's lead singer, Freddie Mercury. It was the first single to top the charts twice in the same version and the only song to have hit the No. 1 spot twice at Christmas. In all, the song has spent a total of 14 weeks at the top of the charts. Because of its complex harmonies it was difficult to reproduce and the band were unable to perform it live. The Beatles claimed 14 of the top 100 slots, far ahead of any other act. Contemporary stars barely get a mention, with only four tracks from the past decade making it into the top 100. Just Kylie Minogue's "Can't Get You Out Of My Head," Elvis's revamped "A Little Less Conversation," Oasis's "Don't Look Back In Anger" and U2's "Beautiful Day" represent the past 10 years. There have been 941 number one songs since the charts began 50 years ago.